You’ve got to start them young, right? With kids picking up on how to use a computer faster than ever before, why not teach them how to program too? 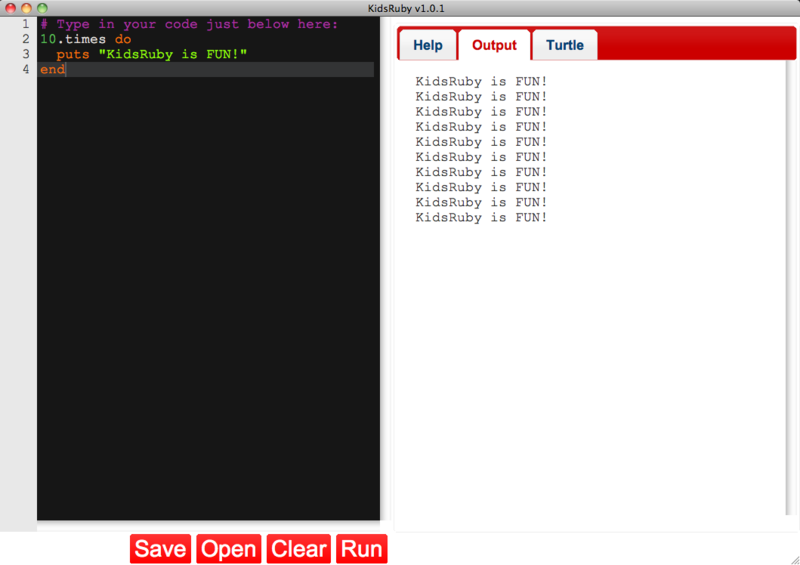 Kids Ruby is a piece of software and set of tutorials that teaches kids the art of development, with Ruby as its programming language of choice. Forget science fairs, your son or daughter could be the next Mark Zuckerberg. The software is available for Mac or PC, or if you’re feeling really adventurous, you can install the KidsRuby OS, which is built on Ubuntu. Now that’s a cool weekend project, especially if you’ve purchased a new household computer for Christmas. When we say “hack your homework” we mean “learn how to write a computer program to help you with your homework”. For example, writing code to solve a particular math problem. By showing kids that programming can apply to the real world, like any subject, it becomes a lot more interesting to learn about. The term “hack” in the computer world, means to be able to do something with hardware or software that the original designers did not realize could be done, usually in a good way. This term is often confused with the term “crack” which means to bypass security of some kind, usually considered something bad that you do not wish to do. How adorable is that? Soon, your kids will be running around the house looking for things to automate. They might even come up with the next big thing, you never know. With all of the code for KidRuby sitting on GitHub, people are starting to collaborate on it and make more curriculums for your budding rock star developer. 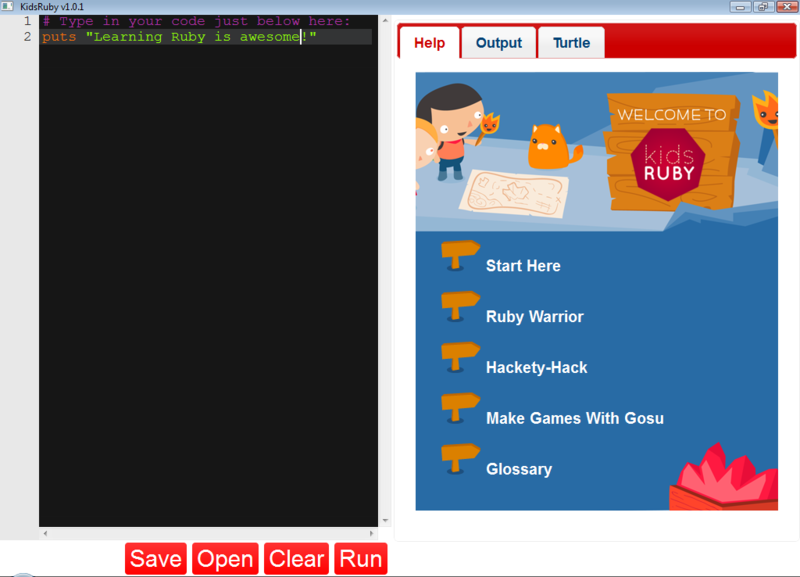 The site even announced a new learning game for programming called “RubyWarrior”, which is also available on GitHub. By learning commands in Ruby, you have to navigate your warrior up a set of stairs to beat the game. Even though this is a text-based game, think of it as two-dimensional where you are viewing from overhead. Each level is always rectangular in shape and is made up of a number of squares. Only one unit can be on a given square at a time, and your objective is to find the square with the stairs. Here is an example level map and key. If you unleash your children on KidsRuby, be sure to share your experiences with us in the comments.